The most obvious of the new pieces all revolve around the Minifigures. 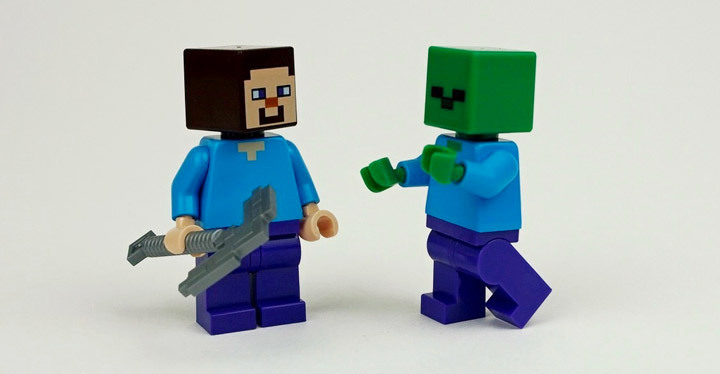 In The Cave, you get new square Minecraft themed heads for Steve, the Creeper, and the Spider. For some people the new design is extremely weird, but it is pointed out that the standard round Minifigure head is weird too (when you think about it). Most people will get used to it over time. The most exciting thing about The Cave, according to New Elementary, is a single new Lego piece. 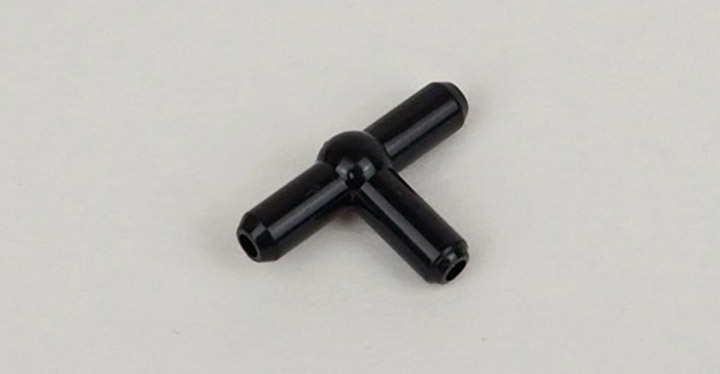 A Black Pneumatic T-Bar (6102782, 4697). For many years now this piece has only been available in gray. The new color allows the piece to be used in many more builds, and will blend in much better in most situations. For some people the price of this set will be worth it just for these 3 T-Bars. The Lego Minecraft theme has been one of the most successful lines. The first few Micro World sets capture the spirit and look of the super popular video game, but the tiny Lego pieces and small size were deterrents to the smallest Lego Minecraft fans (and people with large fingers). 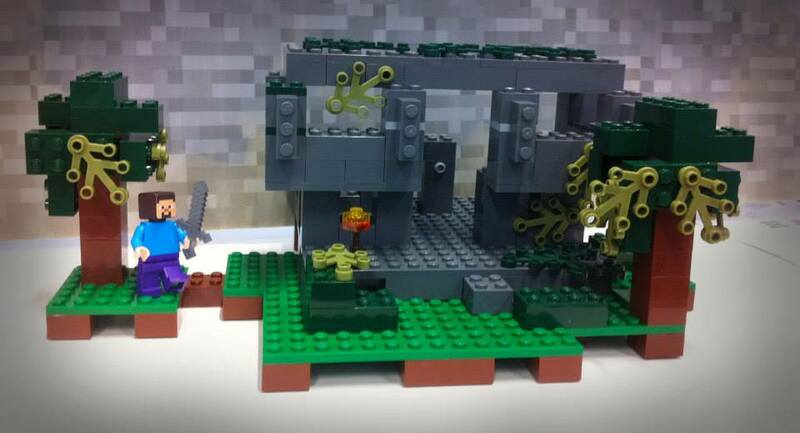 The good news is the there is a whole new theme for Lego Minecraft coming in 2015. There will be 6 sets in this release, including a super interesting Crafting Box. This new style of playset reminds me of the more imagination friendly Brick Boxes. This is a really interesting direction to explore, and it will more then likely prove to be very popular. 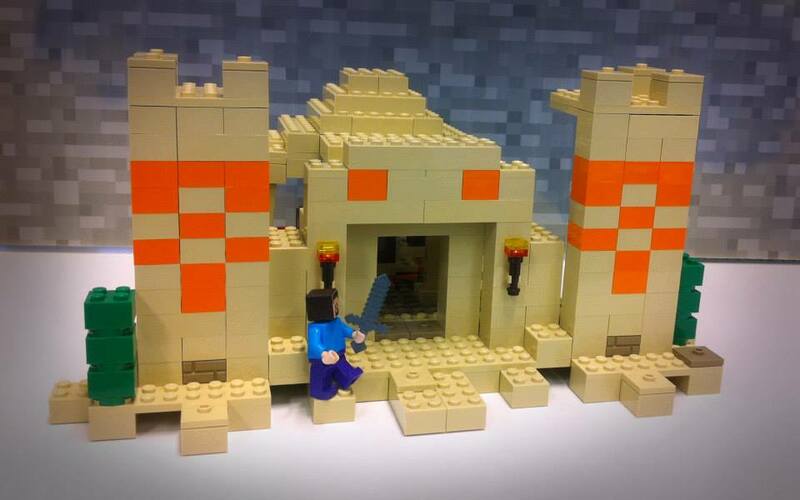 Lego has been running a Minecraft Co-build project over on Facebook. The goal of the project is to create Lego sets in a Minifigure scale Minecraft theme. 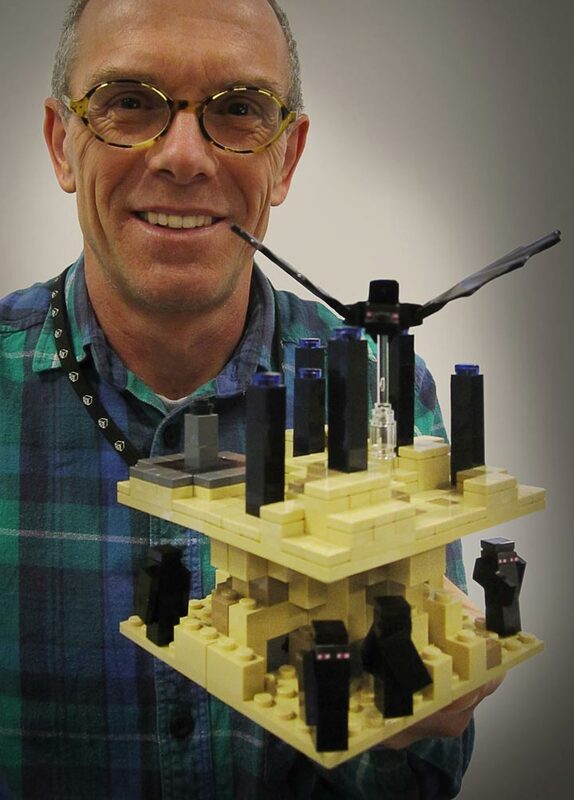 The Lego designers for this project are working with the community. Minecraft and Lego fans get to vote on various details, such as the shape and articulation of the Creeper, the possible biome settings, etc. One of the huge announcements based on community feedback is that the final sets will have no stickers. Pictured here are two of the “in progress” biomes. A desert/sand set, and a jungle set. 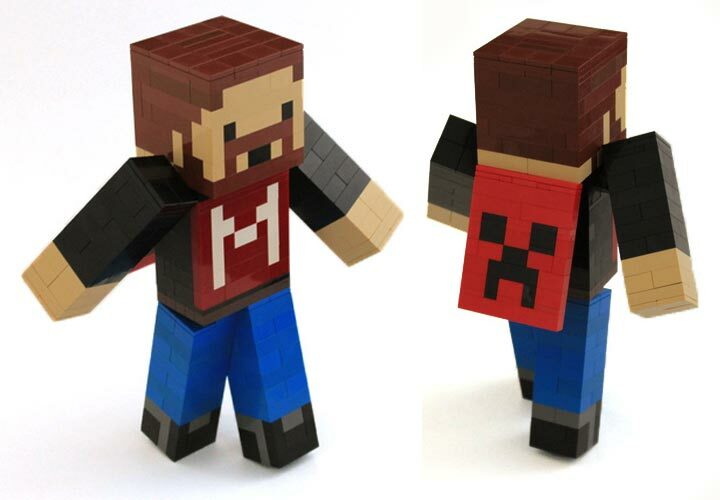 Steve is looking pretty good, and sporting a pixelated sword. Lego has recently released a video update. Recapping some of the recent design decisions and such. It is worth a look, and reveals just how much thought and time goes into designing an official Lego set. Lego Minecraft is one of those perfect themes. The two come together to create some of the best Lego sets of all time. 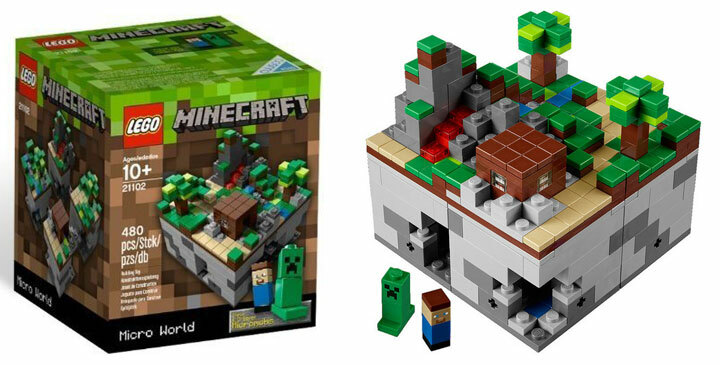 The Lego Minecraft Micro World set is easily one of the best selling Lego sets of last year. Often selling out of stock once the set had been replenished. 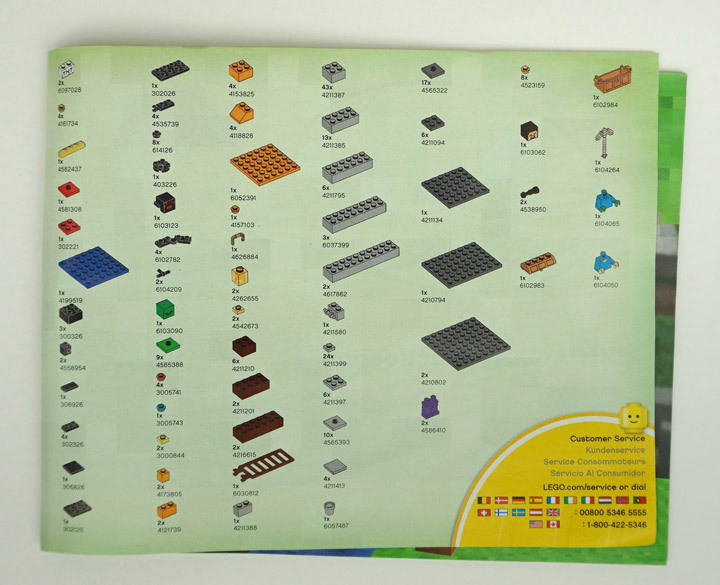 Lego has noticed, and has been continually “reprinting” the original Minecraft set. 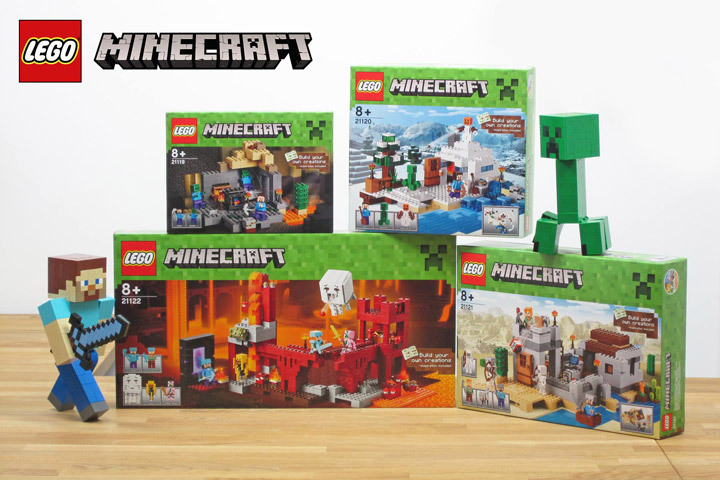 Now Lego has officially released two new sets in the Minecraft theme. Making this the first CUUSOO project to graduate into a full theme. The new Lego Minecraft: The Village and Lego Minecraft: The Nether are now available through Lego and Amazon . Lego Minecraft: Micro World, The Village. 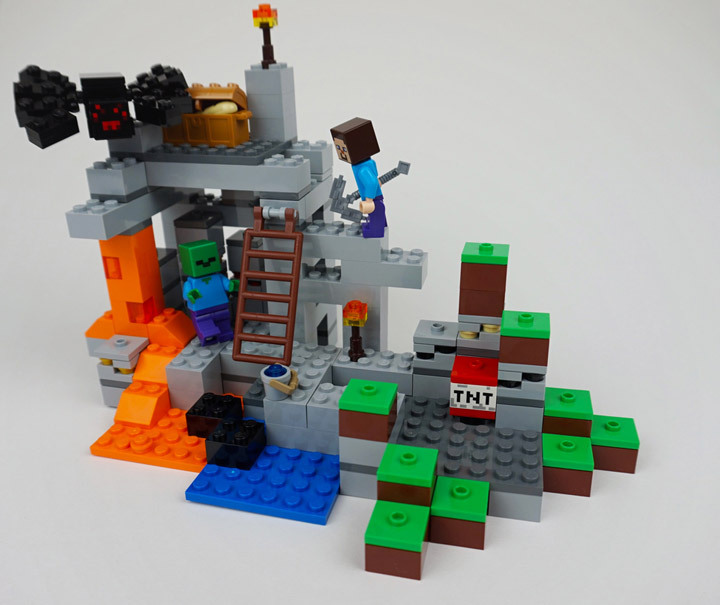 Lego Minecraft: Micro World: The Nether. 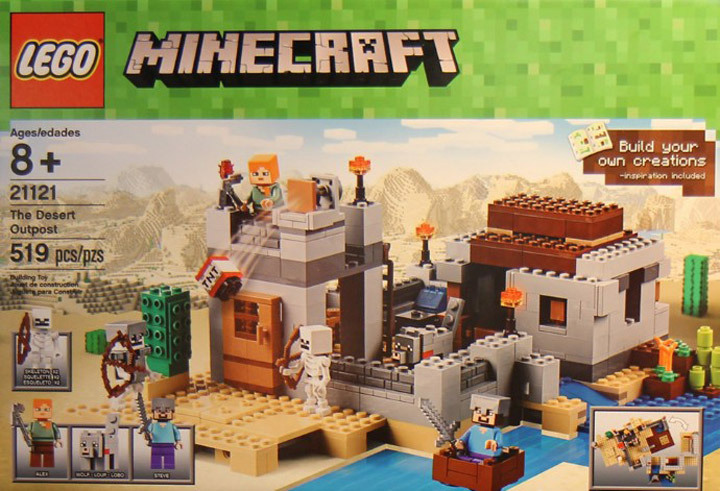 Lego has officially announced two new Lego Minecraft sets. The Village (21105) and the Nether (21106) which will be released in September 2013. These new sets have been mysterious rumors up until today. Lego made this announcement from Comic-Con San Diego. If you are attending the Con, make sure to check out these new sets in the Lego booth (#2829). Lego Minecraft: The Village (21105) is built in the same scale as the original Lego Minecraft set. Featuring four modular pieces that can be rearranged into many different combinations. 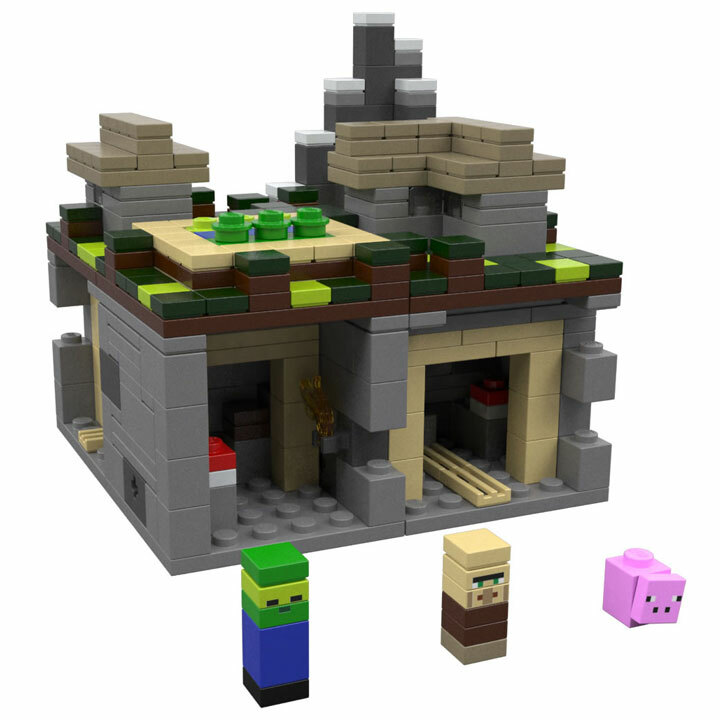 This new set features a tiny Minecraft village and a place to grow crops. But, underneath this unsuspecting village is a system of underground mines where your villagers can adventure. 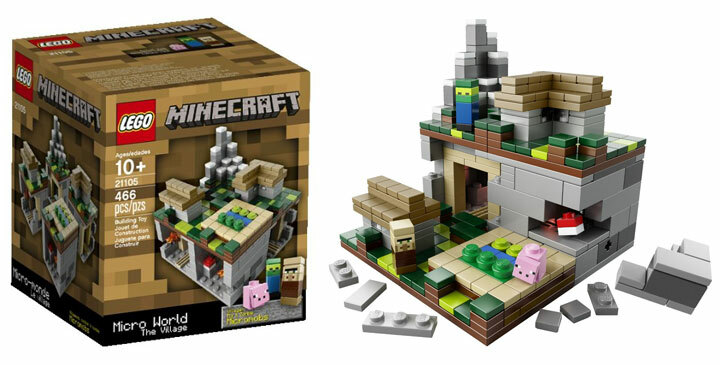 This new set comes with three tiny Micromobs, a pig, villager, and zombie. 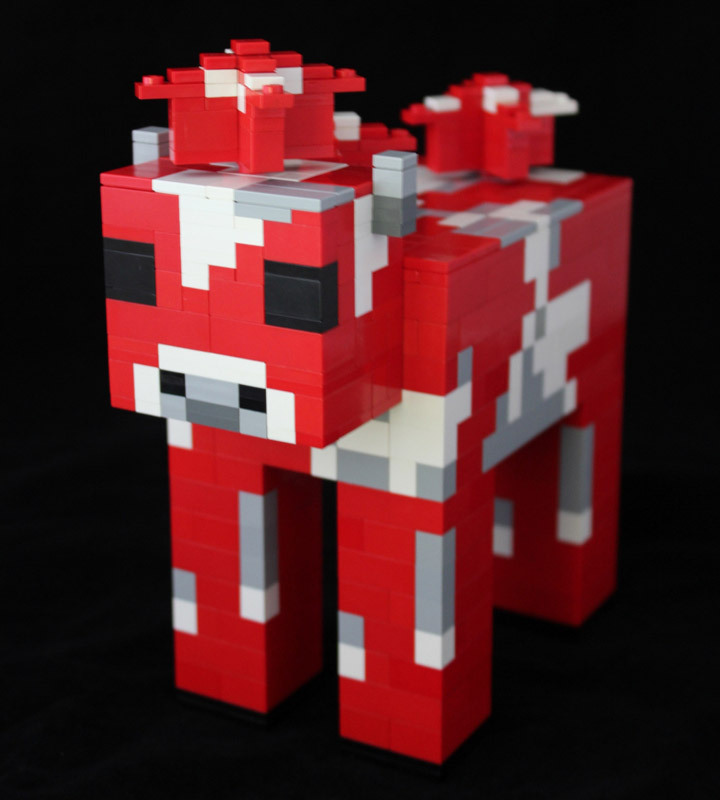 The Minecraft pig is pretty darn cute. 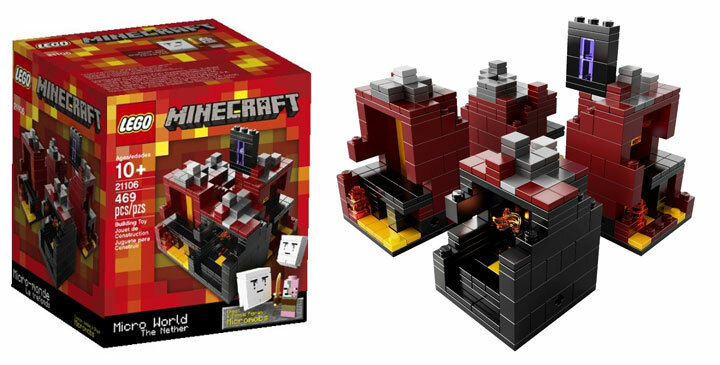 The other new set is the Lego Minecraft: The Nether (21106). 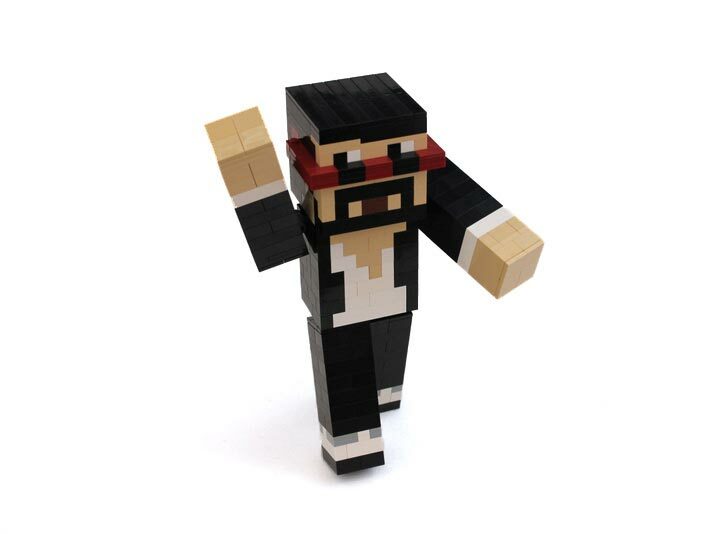 It is also built in the same scale as the other Minecraft sets. Meaning that if you have all three of them, you can combine them into a giant playset. The Nether can be accessed through an Obsidian Portal, where your poor adventurer can explore this new biome. The set features, Netherrack, gravel, lava, and bedrock. All essential ingredients for your Minecraft creations. 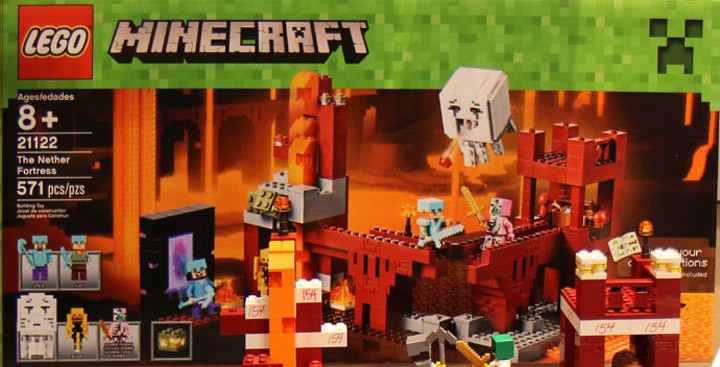 Here you get three Micromob figures, a Zombie Pigman and two Ghasts. 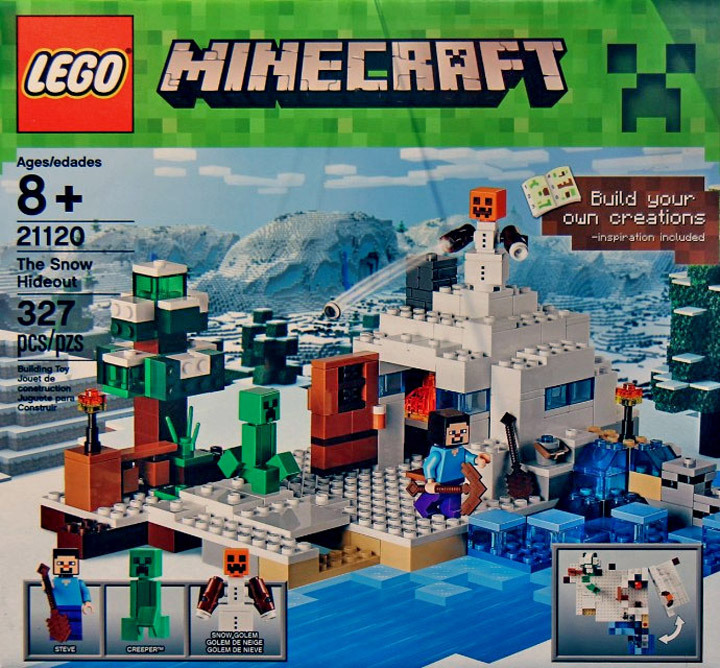 The original Lego Minecraft (21102) set has been a runnaway success for both Lego and Mojang. Originally offered through the Lego CUUSOO program, the set proved so popular that it has been developed into a full theme. Featuring a modular, and micro scale building style these sets have really expanded upon what most people have expected from Lego. 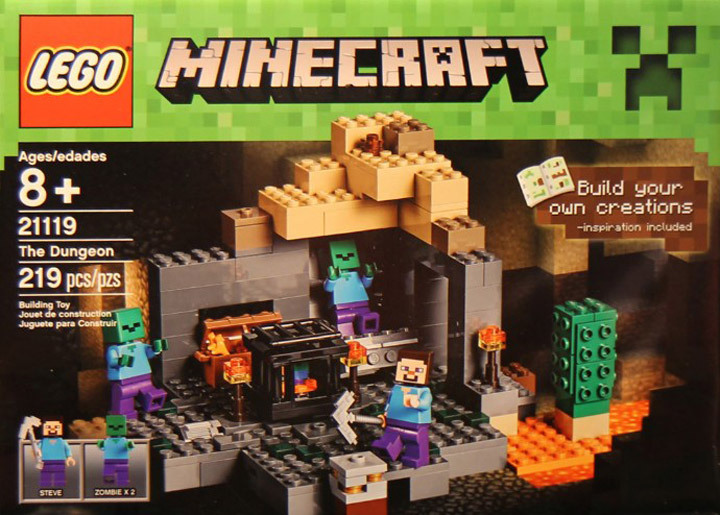 Now is a great time to pick up the original Lego Minecraft (21102) , available at Amazon. These sets are extremely popular and if they happen to be sold out, check back at a later date. Lego is constantly releasing more. Each time a new shipment is available, the price is set for the MSRP of $34.99. 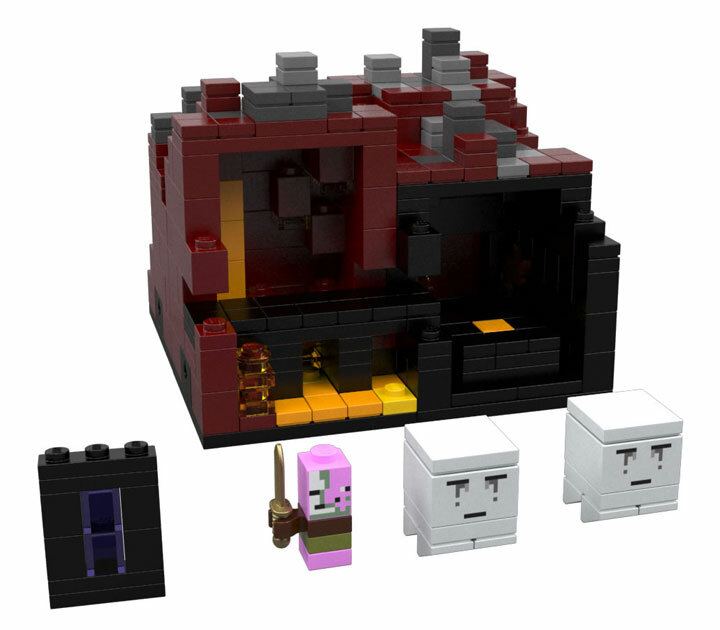 These two new Minecraft Lego sets are available now. 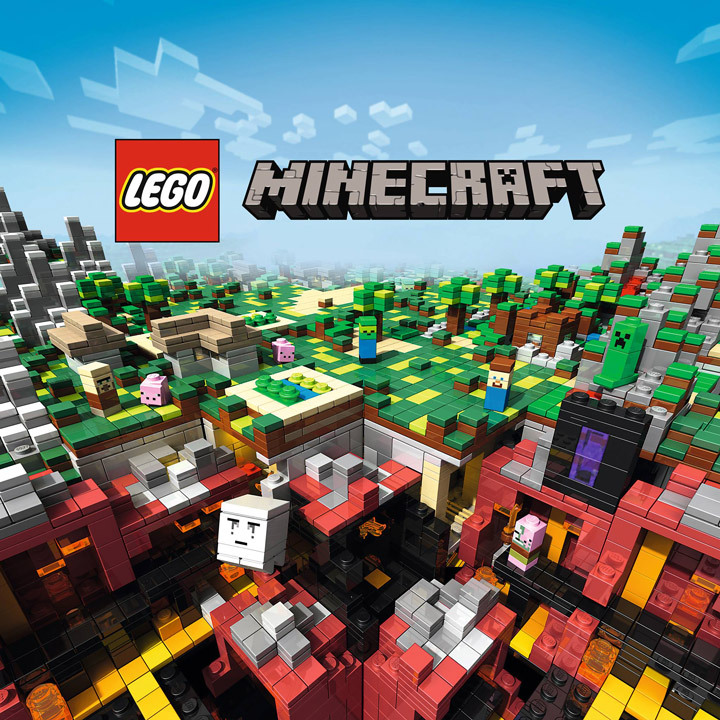 Check out Amazon.com for the details: Lego Minecraft: Micro World, The Village and Lego Minecraft: Micro World: The Nether.